Informed decision making based upon health literacy and electronic health literacy that creates patient involvement in medical treatments is known to play an important role in the improved quality of care and treatment costs (Health Policy Briefs, 2013). The Dartmouth Center for Informed Decision Making defined IDM (informed decision making) as a high quality decision made by the patient, who can assess the information and its values. When this decision is made through SDM, shared decision making, while maintaining PCC (patient centered care) can lead to financial savings of resources and provide better results and higher patient satisfaction levels. Today, many doctors joined the Choosing Wisley campaign initiated in 2002 by the American Board of International Medicine by sharing information in an attempt to identify the major factors leading to superfluous medical tests, and also encouraged conversations with patients to try and minimize unwarranted treatments, thereby reducing costs within the health system. (Cassel and Guest 2012). The process currently under discussion today is called ISDM, or informed shared decision making (Bot., 2014), by which the doctor and the informed patient reach a decision together, in accordance with the preferences and values of the patient. Informed decision making is not based only upon accessible information (Bekker,Winterbottom & Mooney, 2009), but recognizes the importance of understanding the decision making process. Researchers explain the model of the decision making process (Hogarth, 1988; Simon, 1988; Baron, 1994; Payne & Bettman, 2004) in which decision making is an active process that requires people to combine external information with the thoughts and feelings of the individual, thus selectively integrating external information so as to present an internal mental representation of the decision with regard to the problem at hand. Therefore, the internal representation of the original information becomes very significant (Legrenzi, Girotto, Johnson-Laird, 1993). The individual is not aware of the selections he has made regarding the external information. These choices are dependent upon the amount of attention given to the information at hand (Abhyankar, Bekker, Summers & Velikova, 2007; Lipkus, 2007). Health related issues have a considerable impact on the lives of senior citizens and their well-being. A decrease in the health of an individual is detrimental to the quality of life, and as life expectancy rises, so the need for suitable solutions for the elderly becomes more imperitive. We presume that the intuitive process used when operating a tablet, combined with the understanding of the elderly that information could significantly improve their quality of life will lead users to the maximizing of the advantages embedded in digital information. Interaction with the tablet encourages and allows for a deep involvement of the user with the tool and material content presented within. 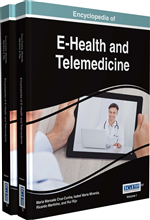 In this paper we will provide insights into the need to support the development of cooperation in health-related decisions, based upon health literacy and electronic health literacy, used with tablets technology among senior citizens. This trend is also supported by the Committee on Quality of Health Care in America, 2001. Health literacy relates to the ability of the individual to search for, and comprehend,the medical information needed to make decisions (Nutbeam, 2008). Informed Decision-Making: A term to describe a process designed to help patients understand the nature of the disease or condition being addressed; understand the clinical service being provided including benefits, risks, limitations, alternatives and uncertainties. Patient-Centered Care: The IOM (Institute of Medicine) defines patient-centered care as: “Providing care that is respectful of and responsive to individual patient preferences, needs, and values, and ensuring that patient values guide all clinical decisions. Health Literacy: Has been identified as a public health goal for the 21st century and a significant challenge facing health care globally. E-Health Literacy: Measure consumers’ combined knowledge, comfort, and perceived skills at finding, evaluating, and applying electronic health information to health problems. Perceived Self-Efficacy: People’s beliefs about their abilities to producedesignated levels of performance that exercise influence over events that affect their lives. Shared Decision Making (SDM): A collaborative process that allows patients and their providers to make health care decisions together, taking into account the best scientific evidence available, as well as the patient’s values and preferences.